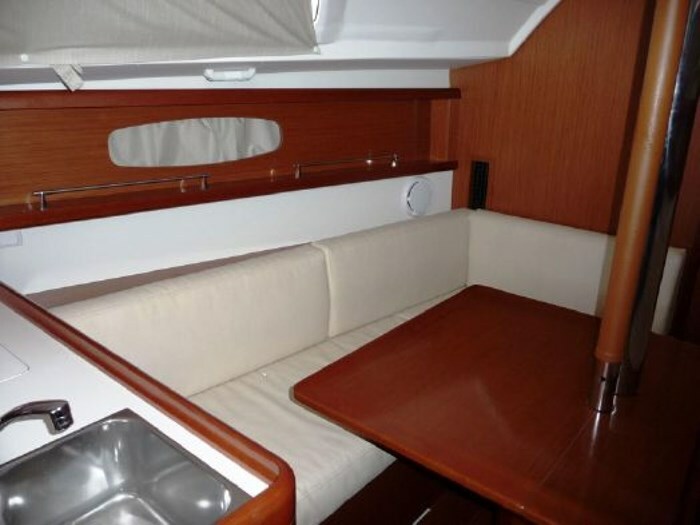 The interior by Nauta Design is finished to the Elegance 2010 trim level in white interior mouldings and rich Alpi Mahogany woodwork. 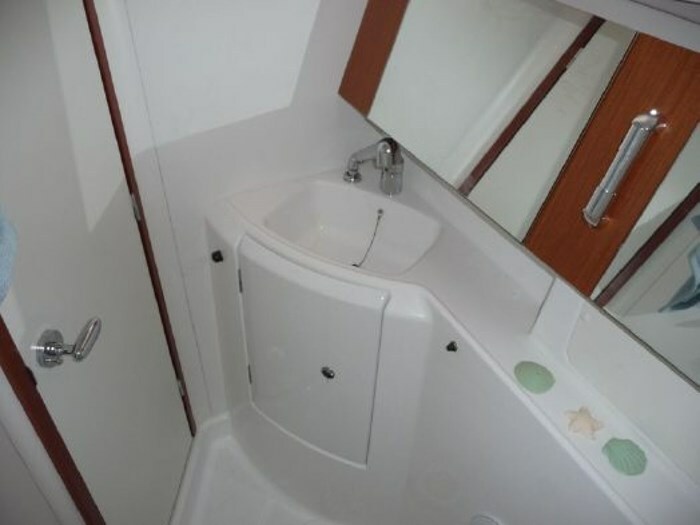 As you enter the saloon, to starboard is the heads and shower with pressurised hot and cold water. 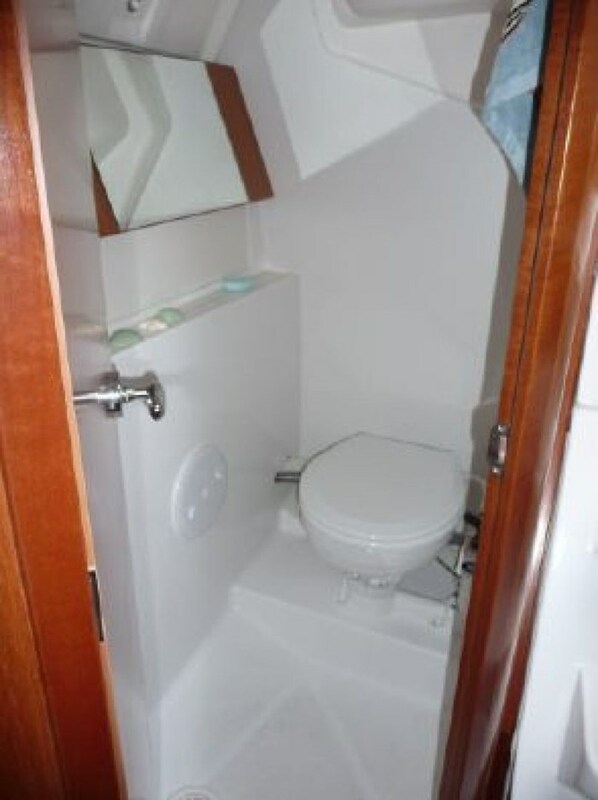 The heads has a sea toilet with holding tank. 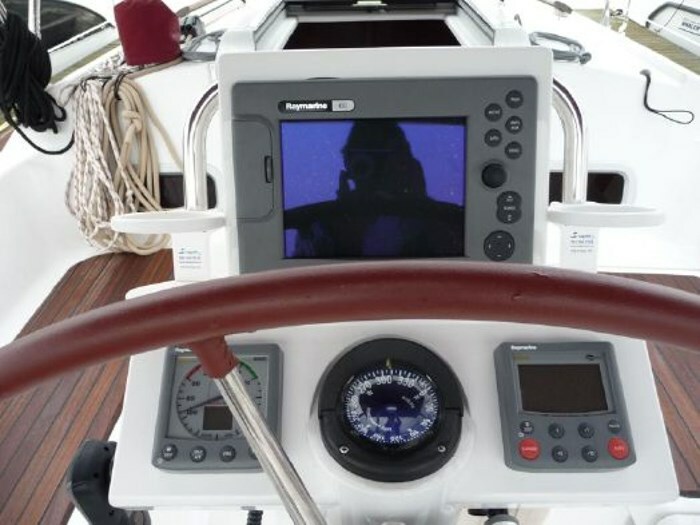 The chart table and electrical panel sit forward of the heads. 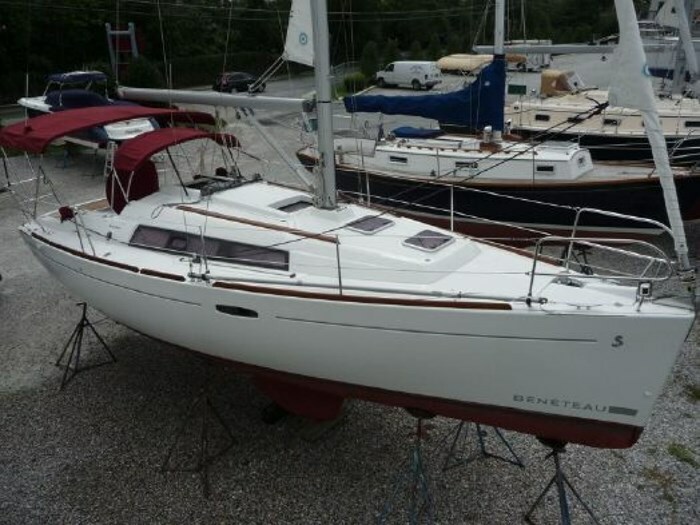 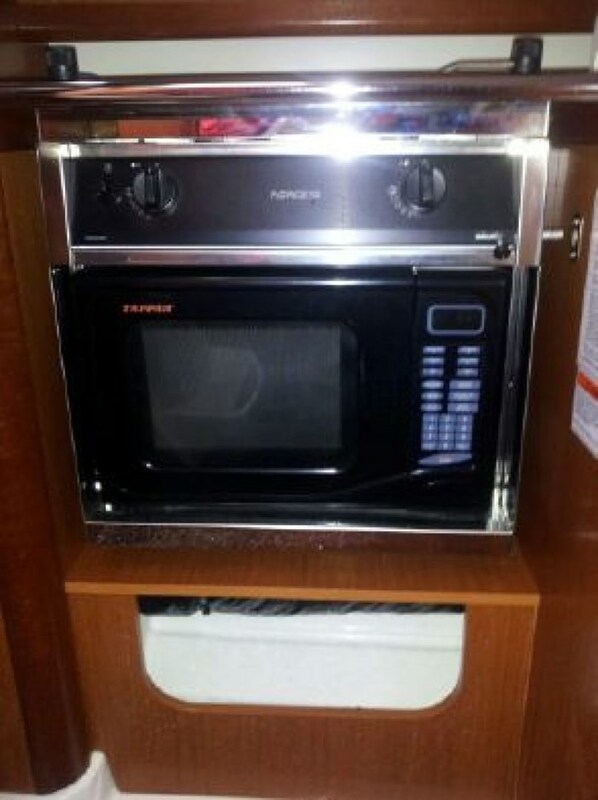 To port is the L shaped galley with twin stainless steel sinks, storage, gas oven with 2 burner hob and fridge. 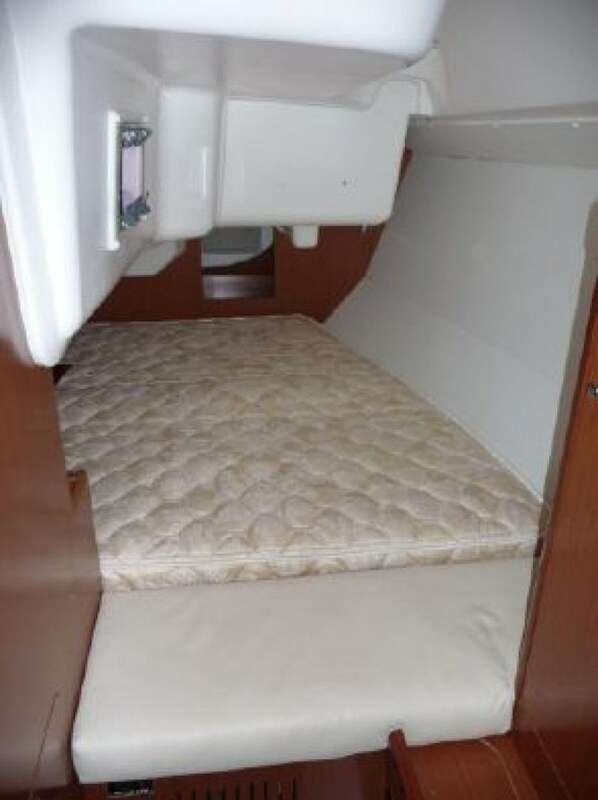 Aft of the galley is the entrance to the comfortable sized double berth cabin with hanging locker. 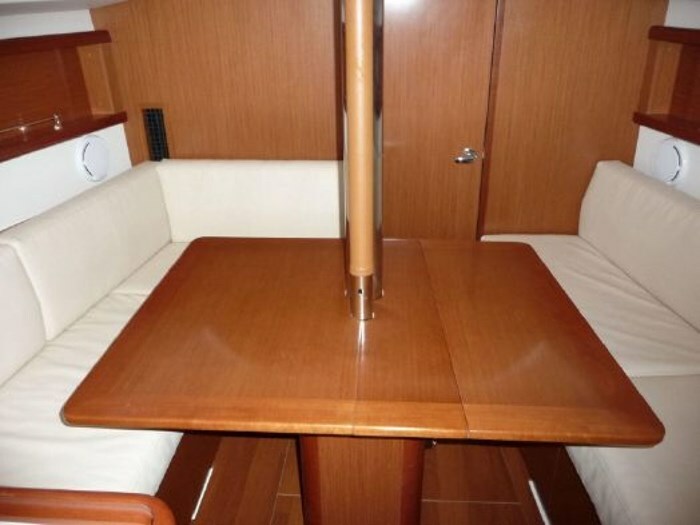 The central dining table is flanked by an L shaped settee to port and a straight settee to starboard. 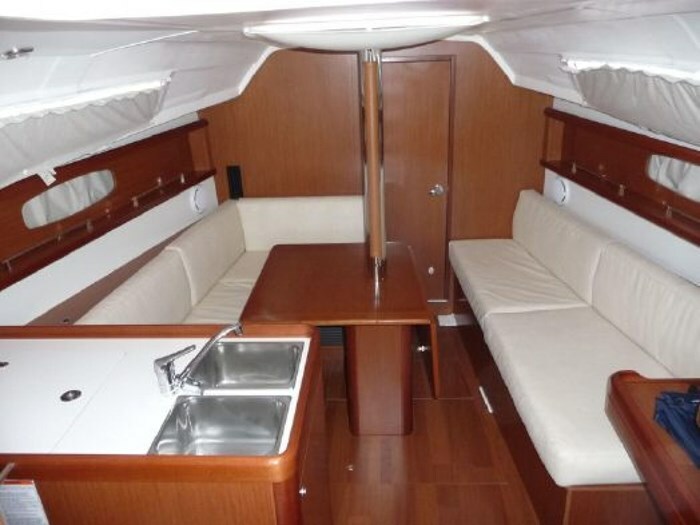 A fold up leaf to starboard brings the table within comfortable reach and allows dining for 6 people. 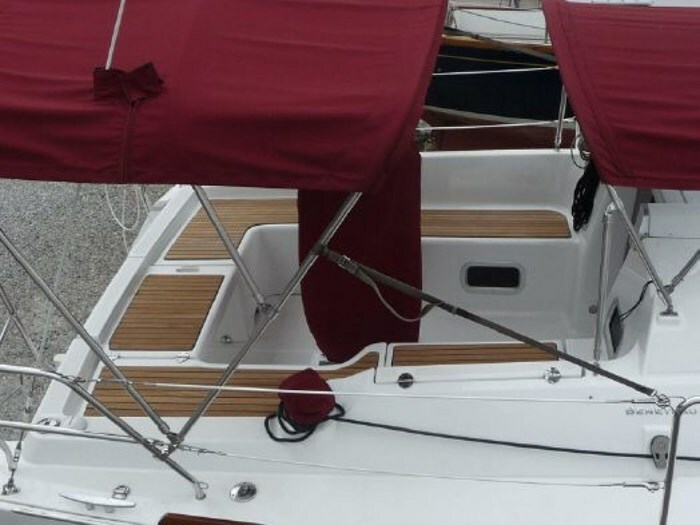 The stainless handrails have leather coverings. 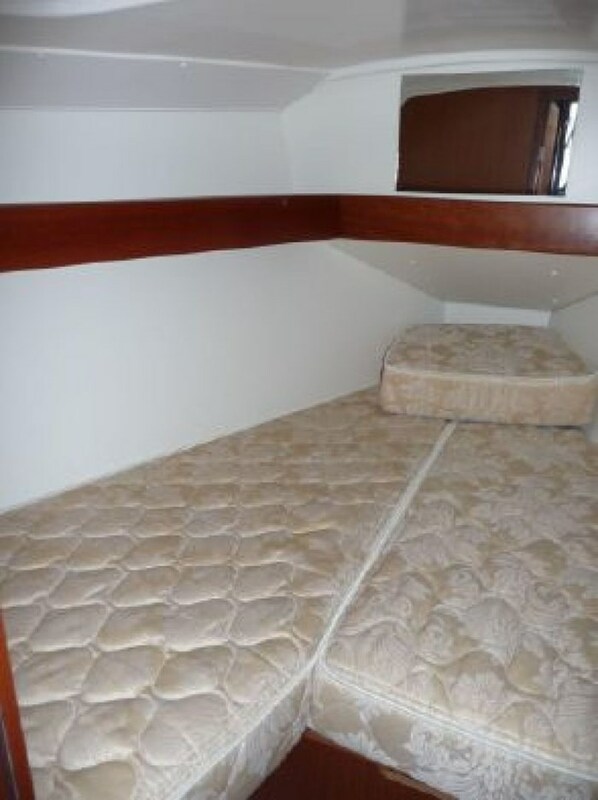 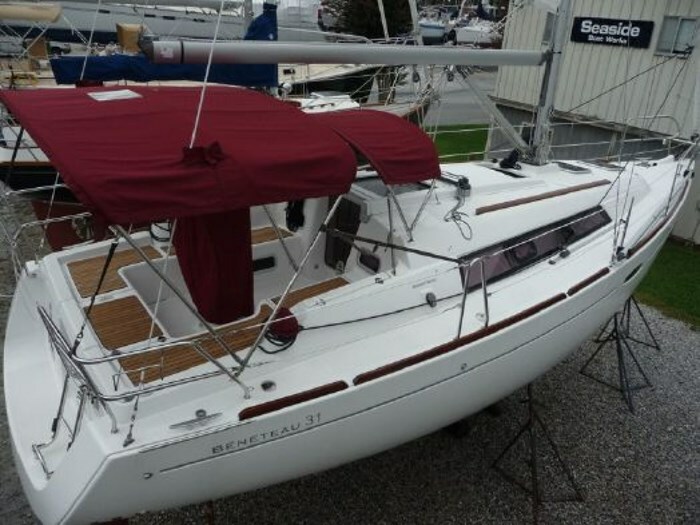 Forward again is the V berth double cabin with additional mirror and hanging locker. 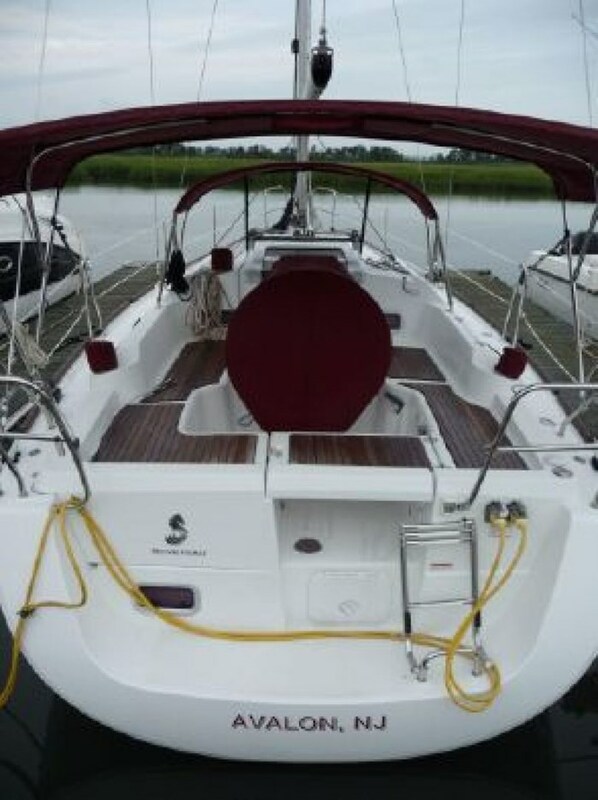 A deck hatch provides light, ventilation and access when needed. 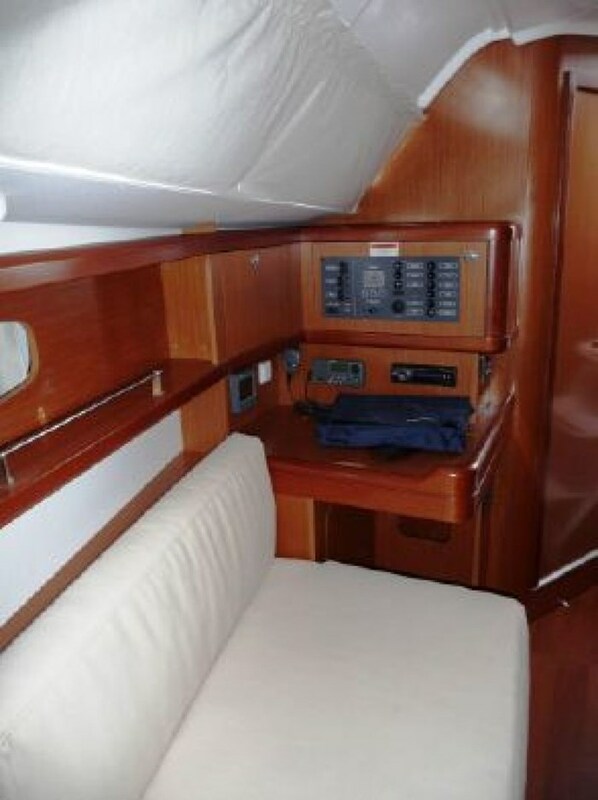 Webasto cabin heating keeps the interior warm and along with the full cockpit enclosure extends the comfortable use of the boat into the Winter months. 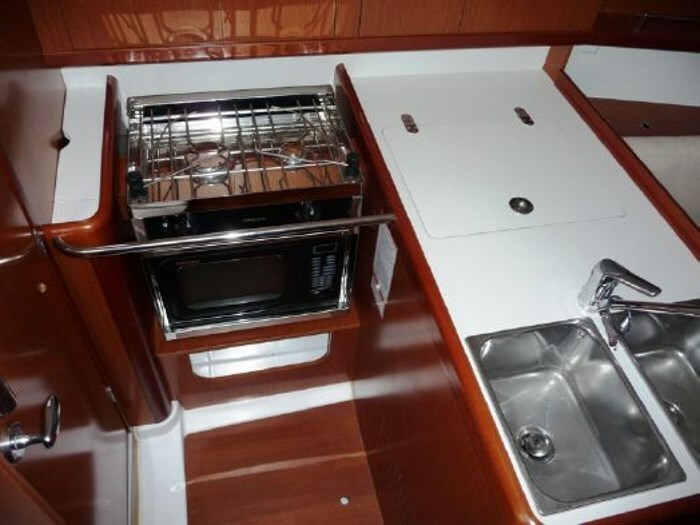 To port is the L shaped galley with twin stainless steel sinks, storage, gas oven with 2 burners and fridge.